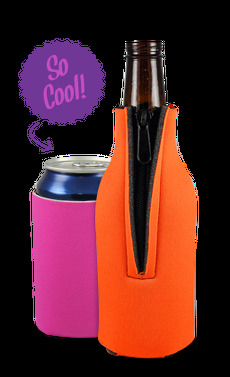 This quality full color koozie is constructed using only the finest scuba material to keep your drink colder longer while remaining soft flexible for easy transporting. Whatever graphics or images you may want to use, that is not a problem as our vibrant full color printing in stunning detail will capture the attention of others. Your new high tech coolie designed with same 1/8" thick material scuba suits are made from and comes ready to handle the common 12 oz can or bottle or anything else with a similar shape.